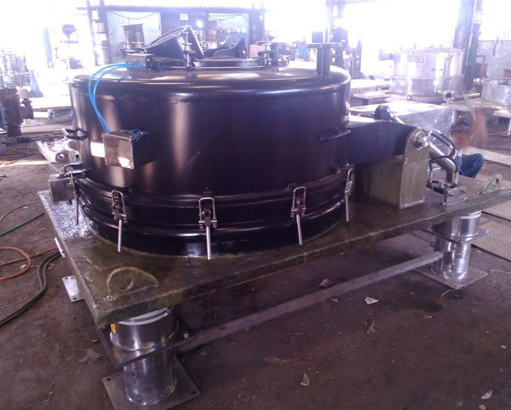 We are specialized in developing Halar Coated Centrifuge Machine, which find use in API, pharma, medical and intermediates sectors to counter corrosive environments. The halar is a Fluoropolymer, which has high resistance against chemical and various other components such as liquid oxygen, alkalis, acids and organic solvents. Our Halar Coated Centrifuge Machine is approved by USFDA for its excellent performance and quality. Apart, the machine is halar coated to avoid expensive glass, hastalloy and titanium lining. The biggest benefit of the coating is that it can be repaired without any hassle on the site.